To learn more about drone photography, RSVP for Jeff Foster’s free online course here. Aerial photography and video has exploded in recent years. What was once the provenance of big budget productions is now accessible to the everyday consumer, provided you’ve got the gear and the airspace to send your device into. 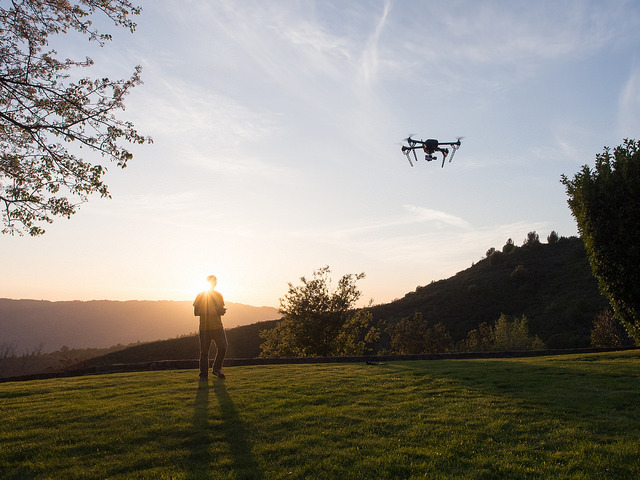 It’s a pretty simple concept: Drone photography, or UAV (unmanned aerial vehicle) photography as its known in enthusiast circles, is photo and video shot from the sky by cameras mounted to remotely operated aircraft. And as a medium, it seems to really spark the imagination. However, the thought of unmanned devices flying around shooting pictures and video of the scenes they happen upon also drums up a decent amount of suspicion, and a number of myths and falsehoods about what it really entails, as well as what it’s capable of. When experienced aerial photographer Jeff Foster sat on the CreativeLive couch with host Jim Catechi, he talked about the common myths of drone and UAV photography and gave us more insight on what it’s really like to shoot stills and video from the sky. Myth 1: People use drones to spy on people. This is something Jeff says he hears all of the time. “Drone is a dirty word, because everyone thinks we are going to do airstrikes or spy in people’s bedrooms. That couldn’t be further from truth,” he explains. “If you’ve seen any drone photography or video, you’ve seen that most of them are pretty far up, and you can’t really see any detail.” And anyway, says Jeff, that’s not the point — people are experimenting with UAVs for the artistry, rather than the invasion. VOLO from UANOF studio on Vimeo. Myth 4: Drones fly low so they are in ungoverned airspace and zero laws apply. The Federal Aviation Administration overseas airspace law in the United States and its territories and its mandate covers the sky from the ground up. In fact, in June of this year the FAA issued an easy-to-read interpretation of its rules on UAV flight, letting operators know where they can and cannot fly. The new memo basically boils down to these four essentials: Don’t go near manned aircraft, stay away from airports, keep it light, and keep it in sight. Myth 5: Drones and UAVs are the same aircraft the military uses to bomb buildings. No. Military forces do, in fact, use a kind of aircraft that falls under the same moniker as the commercial devices, but in reality the drones and UAVs photographers use to snap epic photographs of sweeping landscapes are a world away from the planes militaries use on their missions. Military drones and UAVs are heavier, more costly, more complicated and much bigger than the quadcopters Jeff will be showing you how to fly. Speaking of learning to fly, if you want to get in on the UAV and drone fun, be sure to check out the upcoming course, Taking Flight: Drone Photography & Video.